Do you want to attend OpenExpo Europe 2019, but you’re not sure how to convince your boss? I would like to attend the next OpenExpo Europe summit and tradeshow that will take place on June 20th in Madrid, Spain. I have researched many conferences, and this is THE Conference attended by companies, industry professionals, technical profiles and community leaders who want to expand their knowledge, skills and collaborate within the open source sector in addition to knowing the advantages or benefits offered by free enterprise software. Over 3,500 industry professionals gather for this event, in only one day. OpenExpo Europe connects the open source sector under one roof. It covers all open technologies from a business and technical perspective and helps companies accelerate digital transformation. 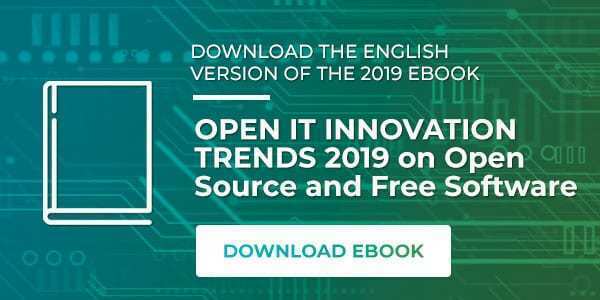 It presents the latest services and technologies and the latest trends including cloud, infrastructure, storage, connectivity, open environments, advanced computing, Artificial Intelligence, Blockchain, Cybersecurity, Internet of Things and much more. It is an extraordinary opportunity to have a general vision, to know first-hand about success business cases and, the possibility of interacting with other colleagues that drive the future of technology. To network in OpenExpo Europe Summit will allow me to meet leading professionals and companies within the industry. I will meet new suppliers, services and I will have the opportunity to contact professionals who may face the same challenges and problems we are facing whilst working on our projects, so that we can exchange experiences and work together. Generating contacts and strategic alliances in the event could be very useful in the future when we have to face new challenges in order to strengthen our business. You can access more information about the summit here. Admission is only € 50 and I can access the Travel Pack with discounts during my stay. The admission ticket gives me access to all sessions, all events in parallel, to the exhibition area and also gives me access to closing events and other networking events. I would like to make a post-conference report that details what I have learned and recommend any changes we can make to improve our procedures. Please, tell me if you have any questions or concerns. I hope we can make this opportunity a reality.